In February, more than 50 pastors and church leaders from the city-church network known as the Nehemiah Network gathered for the 2017 Central Arkansas Prayer Summit. In addition to crying out to God for revival and the advance of the gospel, it was also an opportunity to give praise and glory to God for the 20th year of a sustained movement uniting churches in our community. After 10 years of building relational bridges, in the Fall of 2009, more than 200 churches united together in an evangelistic festival called CityFest with Luis Palau. In the years following CityFest, we continued to pray and moved beyond events to mobilizing the church to serve ongoing areas of need including: foster care and adoption, literacy, prison reentry, and marriage ministry. Creating opportunity for local and affordable Bachelors, Masters and Doctorate degree programs. Since the launch of the initial Leadership Cohort, four additional cohorts have started in key resource churches and two additional Cohorts are scheduled to begin in September. Our vision is to train 1000 grassroots leaders by 2020 and 10,000 by 2025. In addition to providing church-based theological training for leaders, the initiative has plans to provide Antioch School degrees in three geographic areas of significant economic need in Central Arkansas. The first Bachelor’s Urban Degree Cohort is scheduled to begin in January 2018. 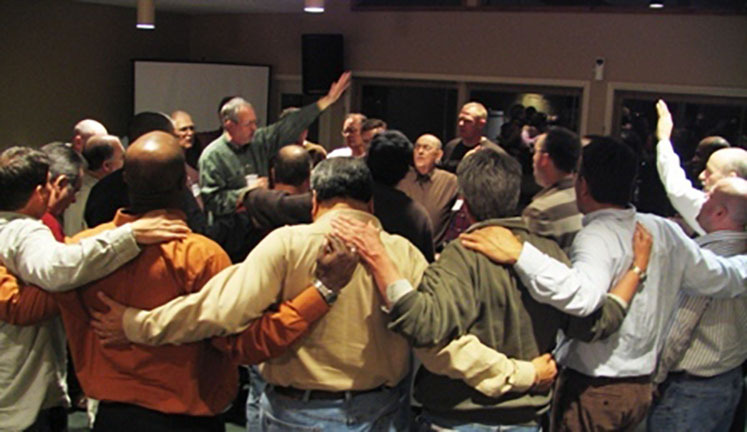 Sustainable gospel movements must be built on a foundation of prayer. must be made visible by goods works. churches need strong leaders. Therefore, effective leadership training is essential. insufficient theology of the local church. Persevere. Do not lose heart in doing good. We are in a spiritual battle, it’s hard, don’t give up. Thanks, be to God for his gracious provision. 1 Getz, Gene A. Elders and Leaders: God’s Plan for Leading the Church – A Biblical, Historical and Cultural Perspective (Kindle Locations 3037-3039). Moody Publishers. Kindle Edition. Audio interview with Chaplain Bob Ossler – Please be advised content includes some graphic description of scenes at Ground Zero and Hurricane Katrina. Students tend to get lost in the system of formal higher education. Apply. Register. Pay. Go to class. Take a test. Earn credit. Rinse. Repeat. Graduate. No Bible college or seminary intends to be impersonal. It just happens largely because of the schooling paradigm. Even when faculty members want to be more personal, it often doesn’t occur. As a student who frequently took advantage of meeting with faculty members during their office hours, I often heard them make statements of regret that more students didn’t take advantage of the opportunity. Bob Ossler is one such student who almost got lost in the process. I was the dean of the non-traditional programs of a very well-known Bible college. We had a policy of letting students who flunked tests review their tests, retake the tests, and average the scores. Well, Bob was a student who took advantage of the policy. It seemed that he retook almost every test for every correspondence course he took. I thought he might be abusing the policy, so I scheduled an appointment with him in anticipation of having to dismiss him from his degree program. It turned out that he wasn’t the problem, we were. Bob had a Mensa-caliber mind, but also had ADD. When he took our multiple choice exams, his mind went in many directions as he read the options for the answers. By the time he read all the options, he no longer remembered the question. However, when I simply asked him the questions, he could practically recite and interact substantially with the relevant content from the course. He wasn’t cheating the system. The system was cheating him. As dean, I was able to create an alternative path for him to finish his degree that was truly competency-based. 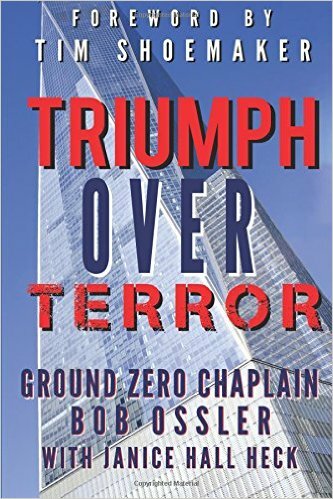 I’m particularly interested in Bob these days because he just wrote a book called “Triumph Over Terror” that reflects on his experiences as the 9/11 Ground Zero Chaplain fifteen years ago. Once I got to know Bob, I learned that he was a unique and incredibly gifted person. His main job was with the Chicago Fire Department as an Air and Water Rescue Paramedic. He was the guy who went into the frigid Lake Michigan water to save and/or recover drowning victims. Bob was also a licensed mortician, trauma chaplain, and chimney sweep. Can you imagine someone better suited for providing support on the “Pile” after 9/11? Chaplain Bob went to Manhattan five different times. He presided over hundreds of ad hoc memorial services when body parts were found. He provided care to countless workers and visitors. He even provided training to most of the other chaplains who had never had to work in an environment like this. Although my experience with Bob was within the context of a traditional Bible college, it vividly illustrates why I joined the BILD team and helped found its Antioch School. First, in church-based theological education, the key leaders know their students. Academics are not housed off-campus somewhere apart from real lives and ministries. Rather, the theological education is integrated into the God-given learning contexts of the students. Second, in competency-based education, there is no single method of assessment. Evidence of competency may be demonstrated in a variety of ways. You may not have a 9/11 Ground Zero Chaplain Bob in your church, but you have existing and emerging leaders who are specially gifted by God and placed in your midst. And church-based, competency-based theological education may be the key to helping them be equipped and mobilized for the work that God has for them. We appreciate all our Antioch School partner churches and their leaders . . . but to be honest, we appreciate some more than others. Pastor Emory Brown of Refreshing Springs Church in Buffalo, NY is one of our very special partners. He loves Christ, recognizes the centrality of the church in God’s plan, and after investigating nearly everything out there related to support for church ministry, he chose to partner with us. Emory leads a vital program of leadership development using BILD resources and Antioch School degree programs in his own church, but also directs a larger effort to serve the City of Buffalo, NY. Bethany Bible Chapel is in her third year of partnership with the Antioch School. Pastor Thomas Clinkscale describes how leadership development has contributed to growth and a significant new trajectory at Bethany. This week we are highlighting one of our North America partner programs. Pastor Bob Brueggen directs the School of Ministry at Harvest Bible Chapel Davenport. They have entered their third year of partnership with the Antioch School and currently have 23 leaders in training. Listen to Bob describe their vision for training solid leaders and the tangible fruit they have seen emerge so far. Emory Brown is Pastor of Refreshing Springs Church in Buffalo, NY, but he also leads the BILD effort to provide church-based theological education for the entire city of Buffalo. In many ways, Emory is ahead of the curve. He has explored many things in life and ministry preparation, but found satisfaction when his own development became truly rooted in his own church. This video allows Emory to tell his own story, explain his perspective, and offer thoughts related to what it means to do church-based theological education for the entire church of Buffalo. Emory is not trying to build a campus for a traditional Bible college or seminary and he is not even trying to start a Buffalo extension site of the Antioch School. Rather, along with Larry Wolf and the Sundoulos ministry team, he is trying to establish a resource center as part of his church that will help church leaders be equipped to build church-based theological education in their own churches and church networks. His vision never loses sight of the centrality of churches and church leaders in the training of their existing and emerging leaders. If you are in the Buffalo area (extended from Erie, PA to Syracuse, NY) or just want to explore more about something you see in the video, you may email Emory. If you have a similar vision for your urban center, please send us an email. Stories are great. It seems that everyone is encouraged by hearing about how God is blessing someone through church-based theological education. Here are a few snipets of a conversation with Pete Ziolkowski, Pastor of Leadership Development for Faith Community Church which meets in New Richmond, WI. Pastor Pete talks about how the BILD Leadership Series courses in his Antioch School degree program have built up love for the church, commitment to serve the church, and impacted major decisions in the lives of people in his church. We would like to hear your stories and perhaps share them with other students. Email us if you have a story to tell and we will follow up with you. Interview with Pastor Dave Patterson, Windham, ME. Frequently, we hear stories about the impact of BILD resources from our church partners in North America and around the world. Here is a story of the simple, but profound impact of The First Principles Series on Bill, a 62 year old recent convert in coastal Maine. This impact took place because Pastor Dave Patterson, Tom Szostak, and other church leaders took seriously the use of The First Principles in their church. The First Principles booklets are not just another Bible study tool. Rather, they are intended to help believers, new and old, to become established in their faith. In the testimony about Bill, you can hear how he was drawn to the family of God, as well as the impact of his life in the community. Each Antioch School degree program includes a requirement for students to engage in a Teaching Practicum in which they teach The First Principles. This helps students become more established themselves as they are teaching others, but also extends the immediate impact of the Antioch School on the health of churches. How extensively are you using The First Principles in your church? Are your Antioch School students fulfilling their Teaching Practicum requirements? If you need help in knowing how to use The First Principles, you should review the Teaching the First Principles booklet that was part of your Initial Training process, refer to the Practicum Manual, participate in the next Practicum e-Workshop, or send us an email. Ultimately, it is not about fulfilling Antioch School requirements, but fulfilling the Great Commission and its mandate for us to teach them to observe all that Jesus commanded. Bill’s story is a great example of how this can be done, even in one of the hardest-to-reach parts of hard-to-reach New England. Antioch School Presentation @ RCC from BILD International on Vimeo. Watch as Pastor Scott Treadway of Rancho Community Church in Temecula, CA interviews two members of their Antioch School Degree Program. The Antioch School allowed his vision of the church being a training center that would prepare the next generation of church leaders for their church and a network of churches to be fulfilled more than 5 years ahead of his projections! Their first cohort was a young group that will be the backbone of their church planting efforts. The second cohort (and more to come) are serving both emerging and existing leaders in the church, including elders and seminary graduates.